I'm trying to learn reading out I2C chips, but somehow I can't figure out how to find the right data addresses. 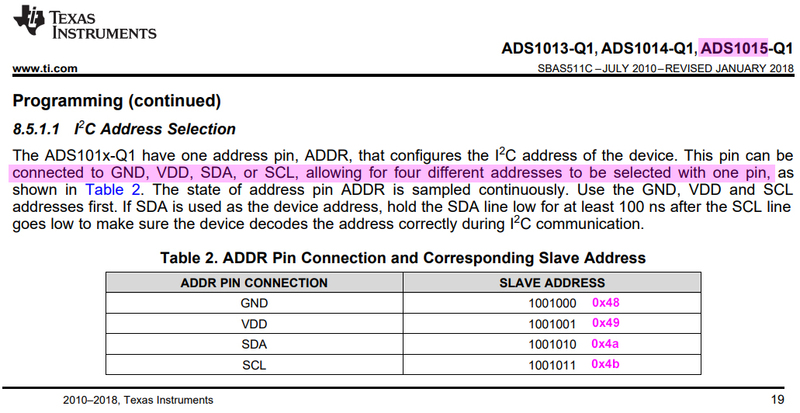 It should be in the datasheet, but I don't get where it tells me the address. I tried looping over all addresses, some give an error, some a value (128, 133, 0, ...). How do I figure out where the voltage is stored on the I2C chip? Also, the ADS1015 has 4 channels, are these combined in one I2C chip, or should i2cdetect list 4 channels? Not the answer you're looking for? Browse other questions tagged i2c pi-3b+ or ask your own question. 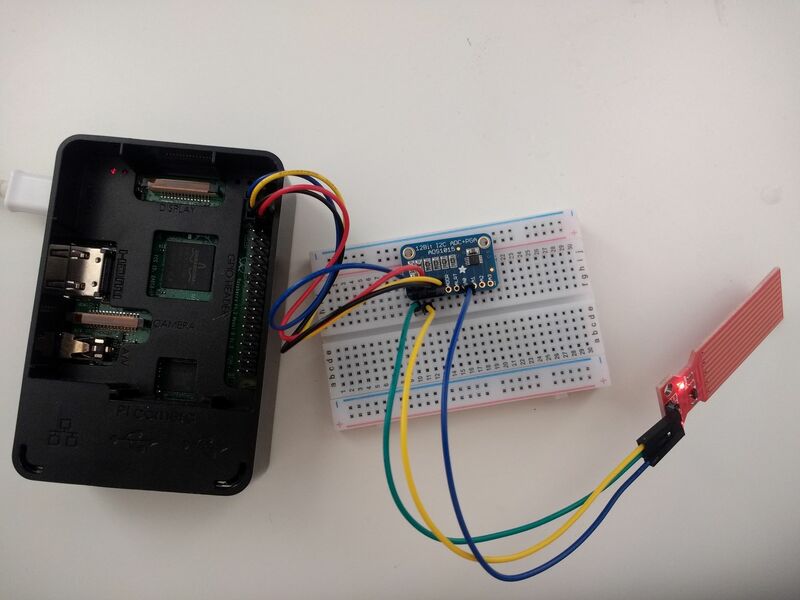 How to specify the I2C device address in Libnfc?